I have been consumed with the cryptic “Lost- Dharma Initiative” type of game being played by Boards of Canada over the past week and a half. 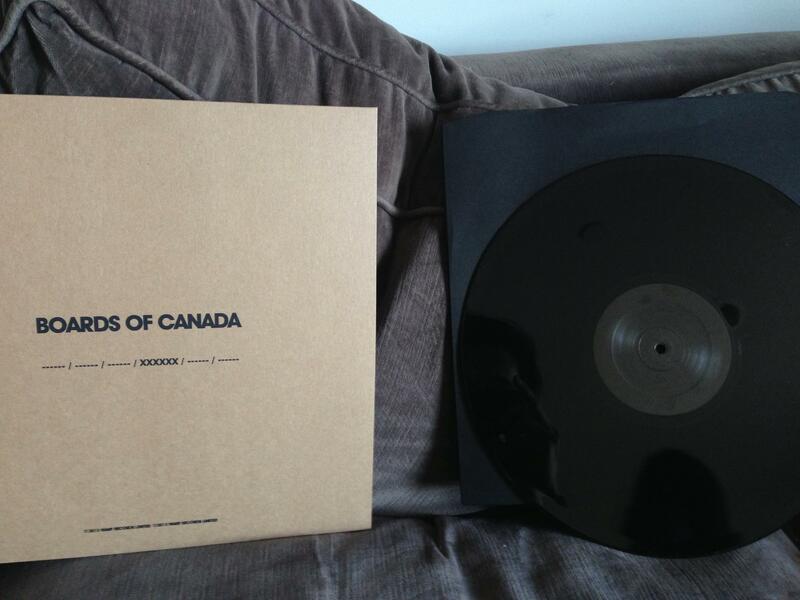 It began on Record Store Day, someone in New York stumbled upon a 2013 record from Warp Records with Boards of Canada on the title, six spaces with dashes but one section with XXXXX. When they played the record, it starts off with an intro similar to BOC’s music with that unmistakable retro-synth sound. However, then a lot of static comes in and behind it you can hear someone reading numbers like from a “secret” numbers station. That all started a fury of other clues including another record found in London, updates to BOC’s YouTube videos in their playlist with clues in edited descriptions and other static filled videos that have to be played simultaneously to hear any useful information. The header of the Twoism.org (a BOC chat forum) website held a clue, as did a quick hit on BBC radio, and a performance art-like display across the street from Rough Trade Records in London displayed a film and the position of the BBC radio clue. The film featured a desert scene and an abandoned gas station. The hysteria has reached a point where some Redditors even traveled out to the location to search for clues! Last night, Adult Swim aired an ad (below video) which followed up the Record Store film with another one seemingly the same to clarify that fifth number and its position in the sequence. I’ve been getting a lot of information from Twoism.org, a great blog from RJ Kozain (http://2020k.wordpress.com/), and the BOC sub-reddit. What does this all mean? HOPEFULLY, it means this is the kickoff of a promotional campaign and the Scottish brothers are about to release their first album in eight years. All we can do now is sit back and wait a bit longer for that sixth code. In the meantime, keep chillin’.